This episode we return to the The Life and Miracles of St. William of Norwich to look at three cases of cures for toothache, followed by a glance at some actual medieval dental treatments. Get those worms out of your teeth! 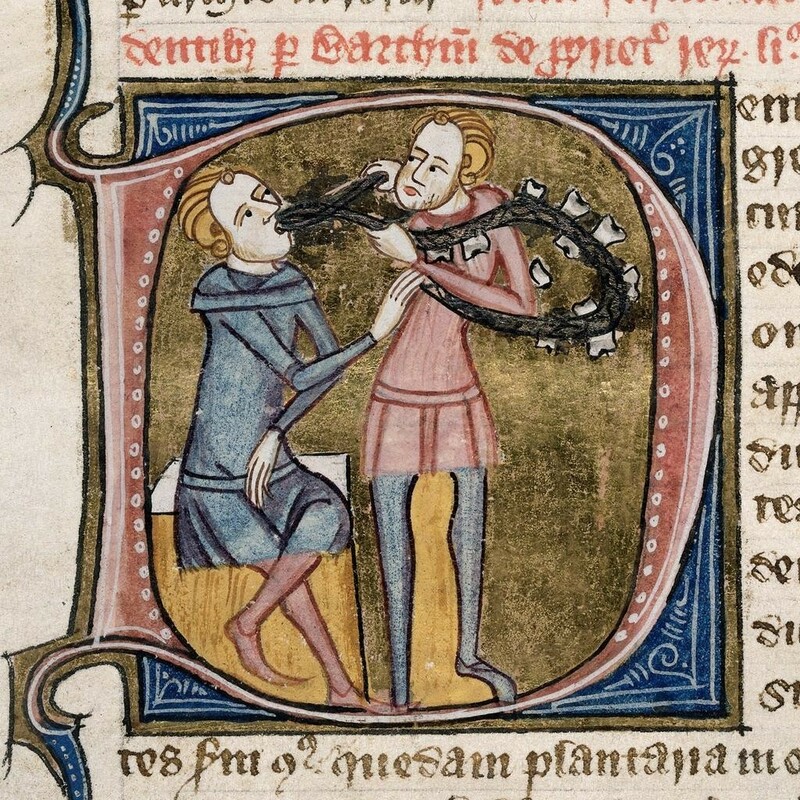 “Dental Treatment in Medieval England,” by T. Anderson (2004). Online at the British Dental Journal. Image: British Library MS Royal 6 E.VI, f. 503v.